We are pleased to offer this 3 bedroom semi detached home that benefits from a modern fitted kitchen and bathroom situated in a residential no through road on this popular residential development. The accommodation briefly comprises Entrance lobby, Sitting room through to dining room and Kitchen. 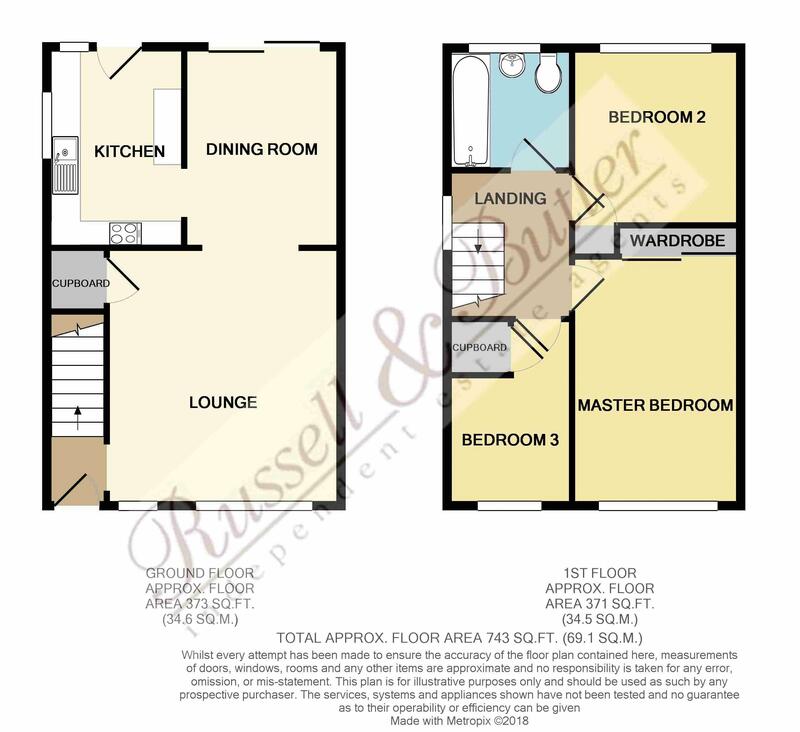 The first floor has two double bedrooms and a single bedroom also with a fitted wardrobe. Upvc double glazing throughout, gas central heating, front and rear gardens with a single garage and good size driveway for several vehicles. Fitted with a range of eye level and base units providing work and storage space, fitted stainless steel oven with four ring gas hob and extractor over, space for fridge freezer, plumbing for washing machine, gas fired boiler serving both domestic hot water and radiator central heating, tiling to all water sensitive areas, upvc double glazed window to side aspect and upvc double glazed door and window to rear garden. Tiled floor. Access to loft space which is part boarded and insulated , doors to all rooms, upvc double glazed window to side aspect. Upvc double glazed window to rear aspect, single panel radiator, fitted wardrobe with sliding mirror doors and hanging rails and shelves as fitted. Upvc double glazed window to rear aspect, single panel radiator, storage cupboard with shelving. White suite with a P-shaped bath with mixer tap and shower attachment, pedestal wash hand basin with mixer tap and low level wc, tiling to all water sensitive areas, vinyl flooring, single panel radiator, opaque upvc double glazed window to rear aspect. Lawn area, path to front door, driveway providing off road parking with double gates leading to a continuation of driveway to rear. Single garage with metal up and over door and courtesy door to side. All main services are connected. Council Tax Band B.